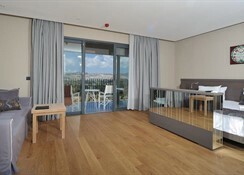 Ramada Resort Bodrum Hotel is the best opening hotel in Wyndham hotel group at 2012. 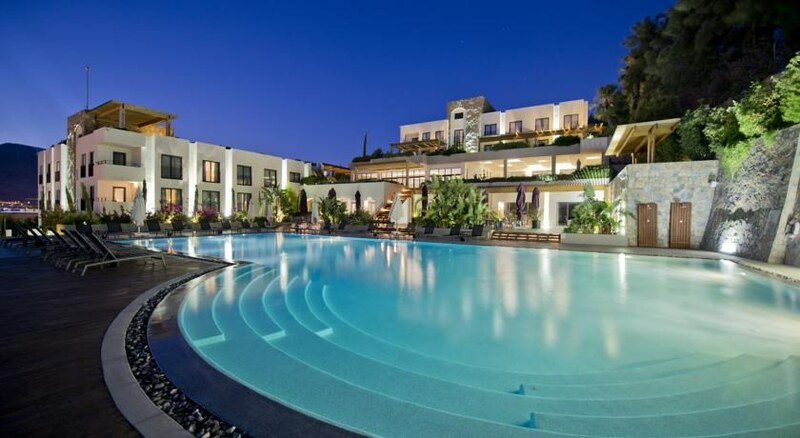 Also Ramada Resort Bodrum is winner in the Best Hotel – Luxury category in the 2014 & 2015 years. Traveler’s Choice awards. 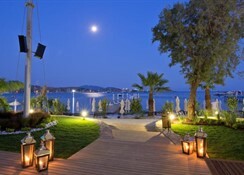 This is a place top of the Bitez Bay where fascinating Aegean Sea, Cos Island and Bitez view hugs you. Mystic Wellness, the most exclusive SPA complex of Bodrum Peninsula, is placed on 2,500 sqm area with indoor pool, VIP SPA, fitness center, spinning, squash, table tennis, with latest technology equipment’s, Turkish Hamam, sauna and ozone sauna, snow fountain, steam room, 4 different kinds of massage and treatment rooms, plates center, couple massage room with Jacuzzi, solarium, salt therapy, skin & body care rooms, healthy life center with vitamin bar, kids club in mystic wellness, also 1 open tennis court for day and night use. 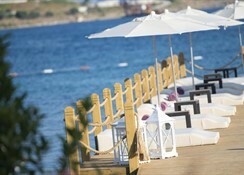 Ramada Resort Bodrum also have 2 a la carte restaurants and 3 bars. Cactus Bar; You may enjoy your Americano coffee blends here for a morning coffee with friends or stylish, fabulously variety of appetizer before or after dinner while you talk at leisure and unwind at the Cactus Bar. Belvedere Bar; Belvedere is an architectural term adopted from Italian which refers to any architectural structure sited to take advantage of a fine or scenic view. You may relax and dream your holiday memories in a wonderful ambience with the tunes of the music. Our special and cosmopolite Barkeepers will give you professional cocktail lessons to let you prepare your own tasteful drink. We highly recommend you basil, ginger or sage cocktails. Mystic Vitamin Bar; To complete your session in the Mystic Wellness, the Mystic Vitamin Bar is waiting for you with freshly squeezed fruit & vegetable juices. Light and healthy beverages will give you the feeling to be in the sky after your massage or treatment in the Mystic Wellness. In these special space international flavors are awaiting you. 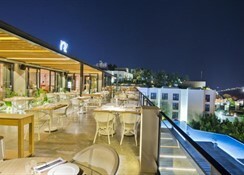 But apart from tasting these unique flavors, the far east´s indispensable food sushi is Bodrum´s most assertive address. If you want to take a break from your busy lifestyle and work, you can relax and enjoy your holiday at The Club Restaurant and bar. Claypots Restaurant offers delicious showcases of Turkish cuisine and world cuisine in a contemporary setting in Claypots Restaurant. Not only to taste but also satisfy your soul, you are invited to Claypots Restaurant, serving the most delicious tastes of the world cuisine and Turkish cuisine for your dinner. Be prepared for the artistic show on your plates. The private beach area is 800 metres from the property. The hotel arrange free shuttle service between hotel and private beach.